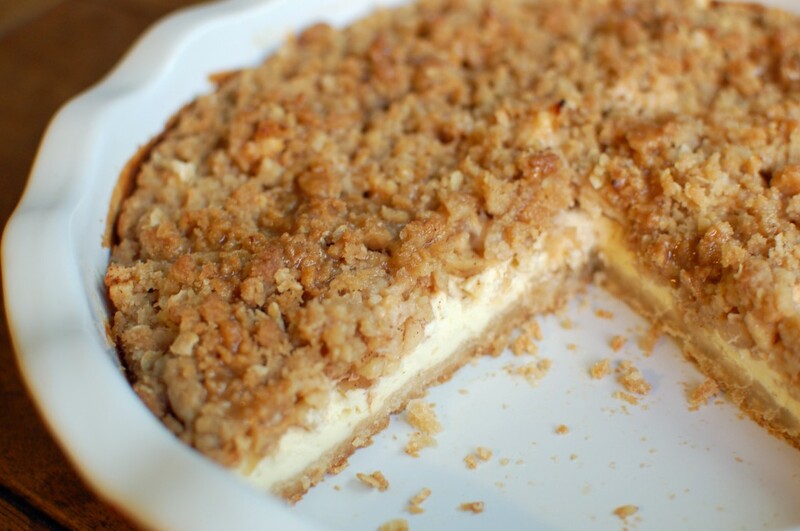 Apparently what I like in an apple dessert is the addition of caramel and cheesecake! When making my flower-shaped apple cheesecake tart in the fall, I came across Paula Deen’s recipe for these Caramel Apple Cheesecake Bars. I had all the ingredients on hand for Valentine’s day, so I cut the recipe in half and used my new red pie dish. I liked it so much that two weeks later I used the same proportions to make these bars in an 8 x 8″ dish. I think the recipe looks prettier in a 9″ round dish, and love that it only requires half the original ingredients and apple peeling. I like the flexibility, though, for feeding a large crowd with easy-to-grab squares by making the recipe in a 13 x 9″ dish. 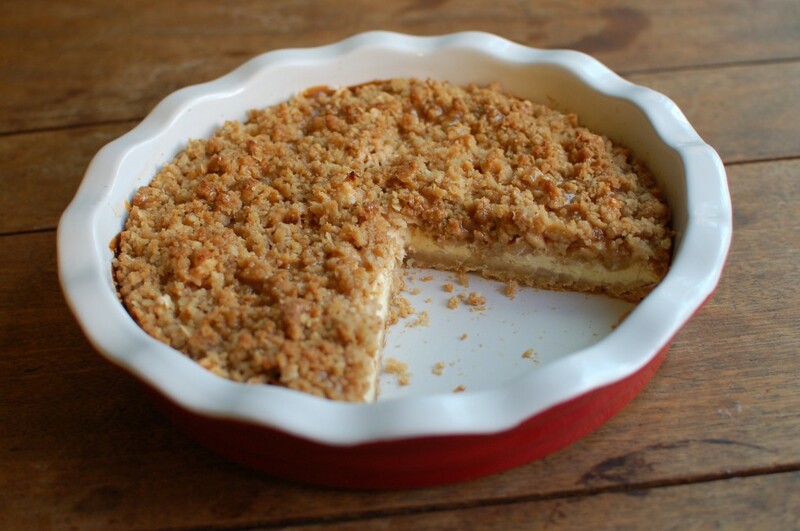 To make the round or 8 x 8″ version, I recommend cutting Paula’s base recipe in half, and cutting the streusel topping down to one third (reviewers said the original amount was too much topping). I followed the rest of the recipe, including the original bake time, exactly. As with the apple tart, I preferred it chilled.